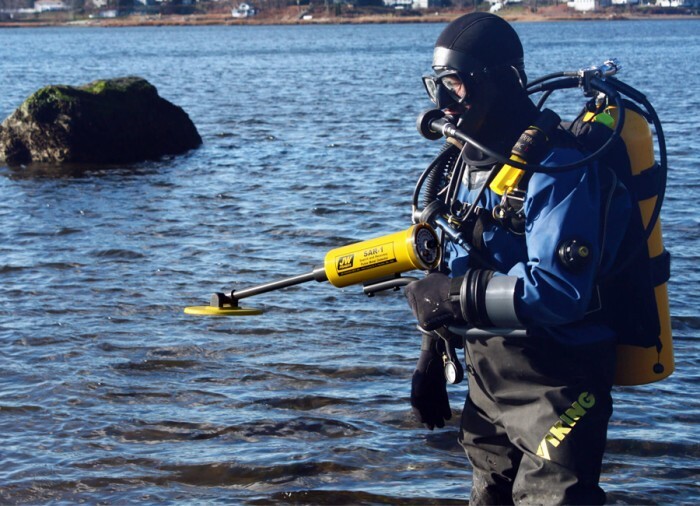 JW Fishers SAR-1 was specifically designed for military, law enforcement and public safety dive teams to locate metallic objects in low visibility environments. 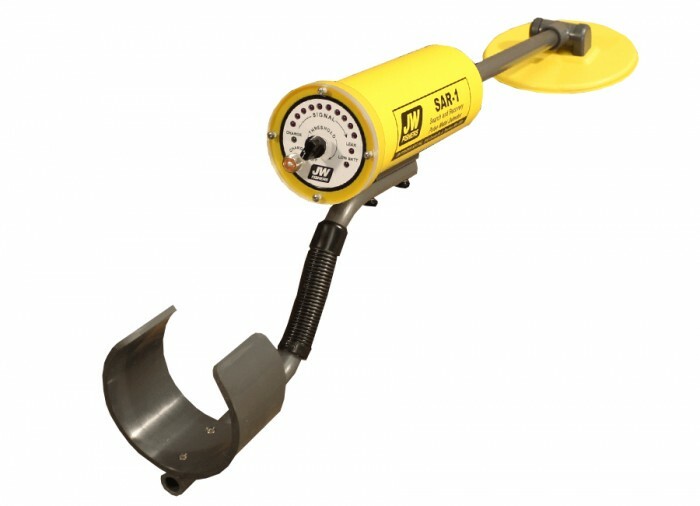 The "snareless" SAR-1 has a streamlined design with no external wires or cables which makes this detector the ideal tool for work in environments with potential entanglement hazards. The SAR-1 has both visual (ten ultra bright LEDs) and sensory (vibration) target indicators. 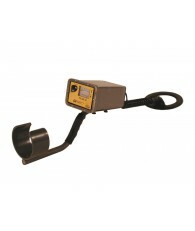 When the detector approaches a metal object the handle begins to vibrate and a few of the LEDS illuminate. 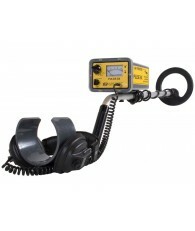 As the bright yellow search coil gets closer to the target, the vibration becomes more rapid and more of the high intensity red LEDs light up. 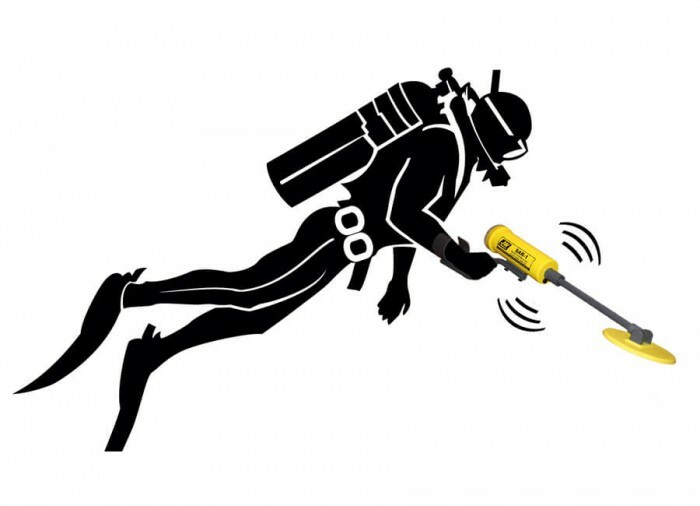 The number of LEDs that illuminate is helpful determining the size and burial depth of the target. Small targets may only illuminate 2 or 3 LEDs whereas larger targets will light up the complete display. 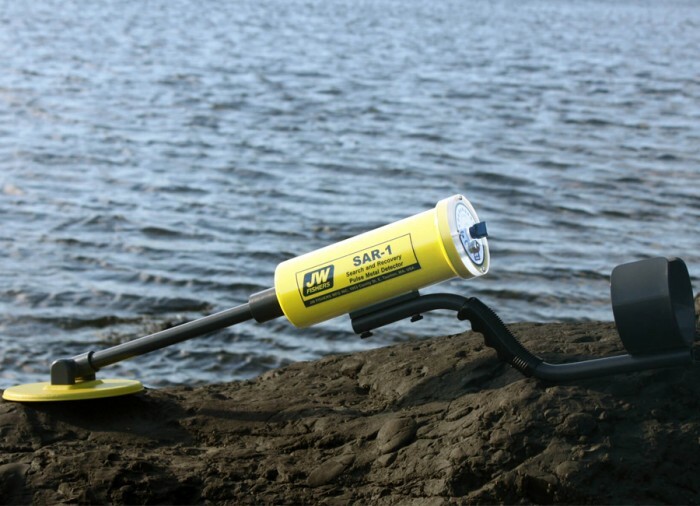 The SAR-1 works equally well in fresh or salt water, and detects a variety of targets including shell casings, handguns, rifles, shotguns, knives, UXO, mines, and any type of explosive device containing metal. 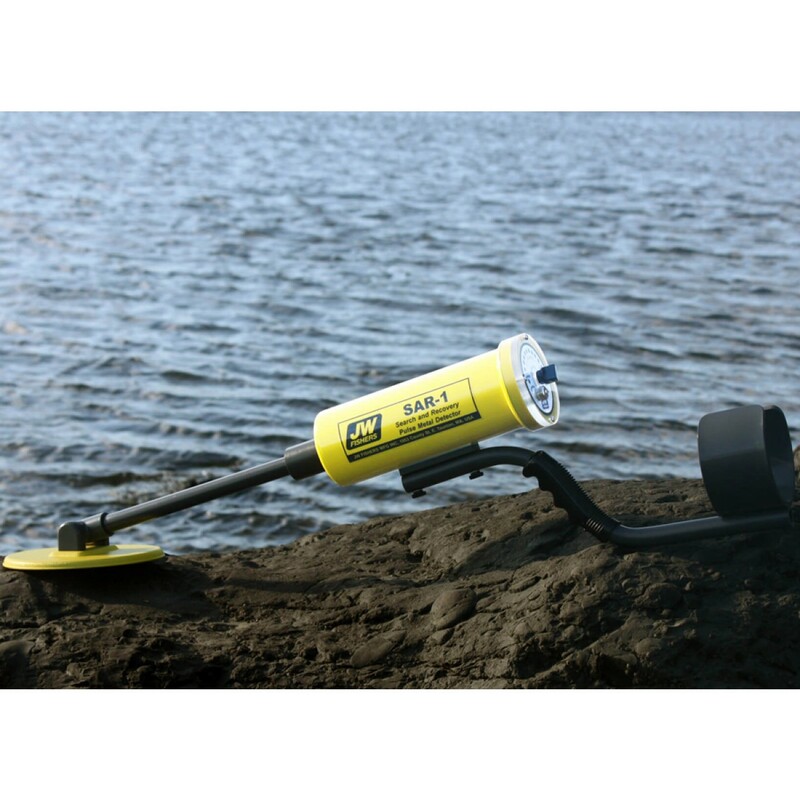 The unit will also detect large targets (such as automobile or aluminum boat) up to 6 feet. 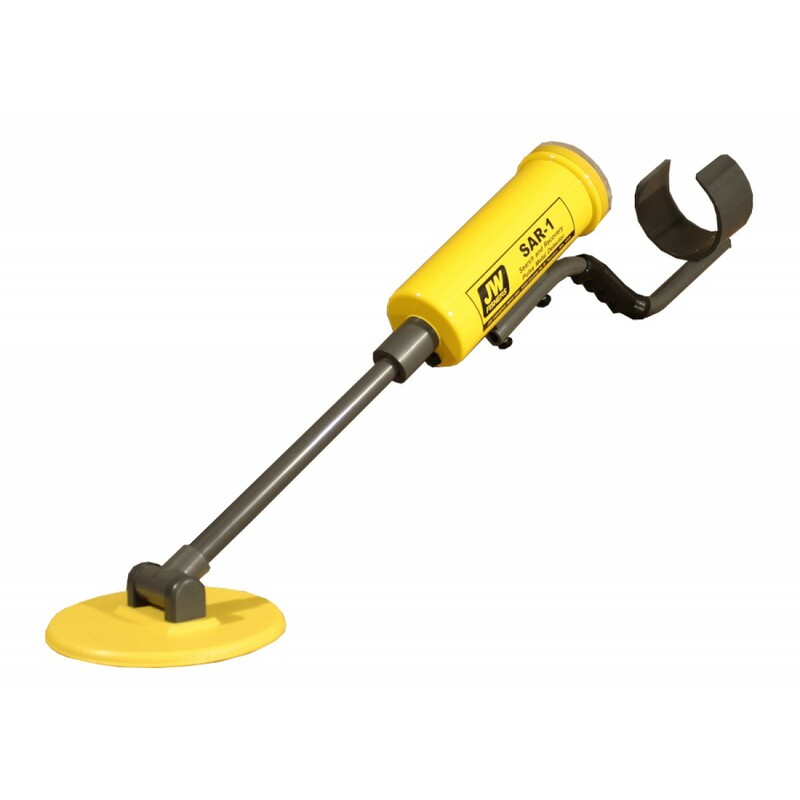 This high performance Pulse Induction metal detector detects both ferrous and nonferrous metal objects, while ignoring minerals in the environment. 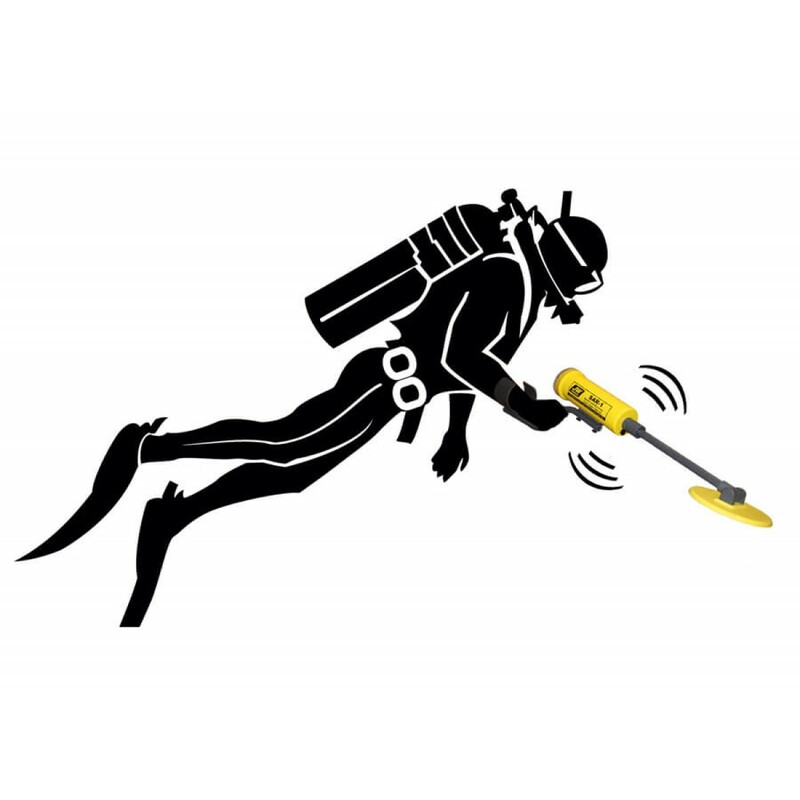 The detector will not give false signals from salt water, coral, high iron rocks, or other ground mineralization, as some other types of detectors do. 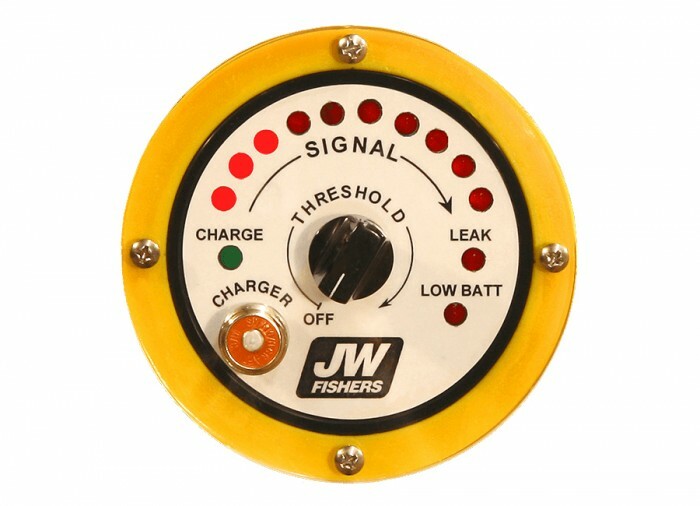 As with all JWF detectors, the detection range is not affected by the material between the search coil and the metal target. 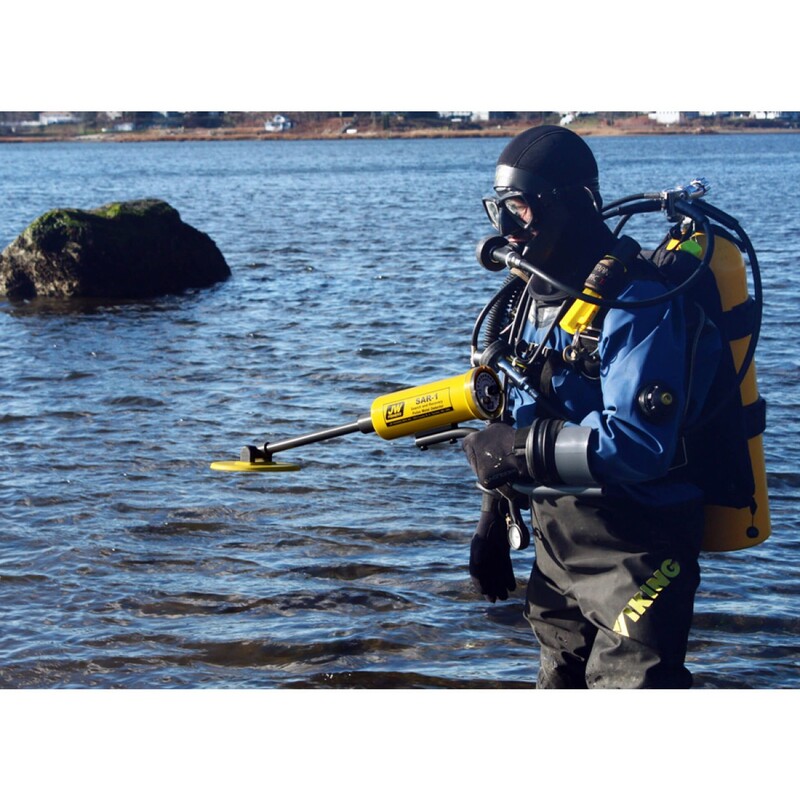 Whether detecting through air, water, silt, sand, mud, or rock, the detection range remains the same. 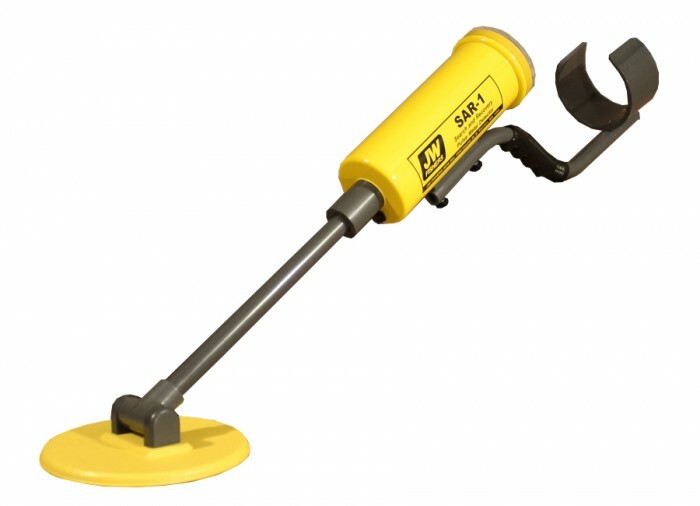 The SAR-1 detector is constructed of corrosion proof materials and comes with AC and DC battery chargers, and a carry bag. 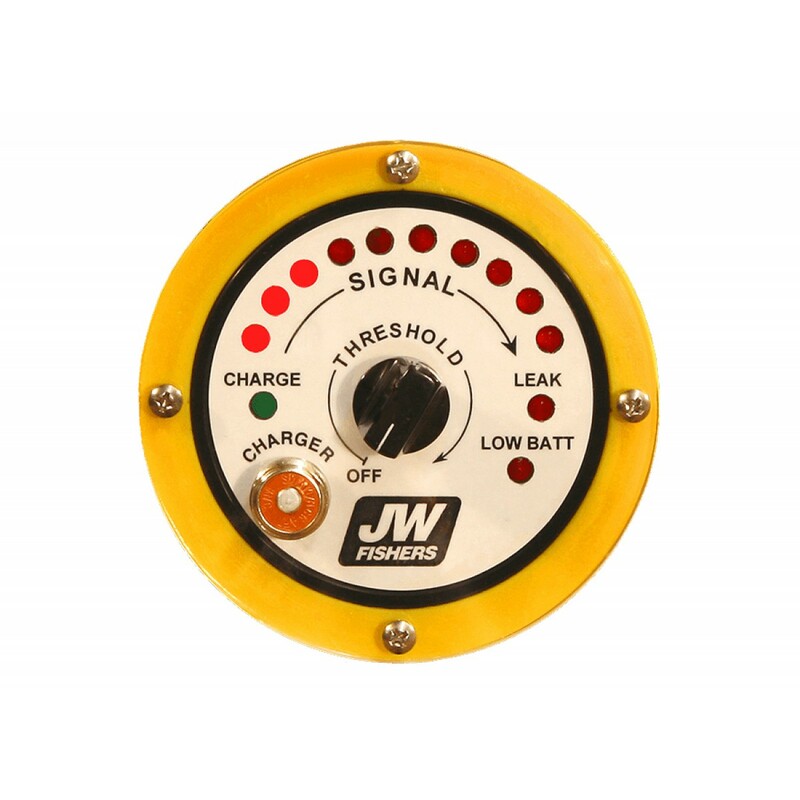 Rechargeable batteries power the detector for 12 hours before requiring an overnight recharge. 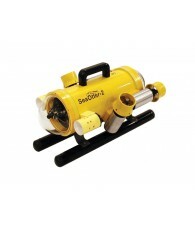 Batteries can be easily field replaced to allow around the clock operation. 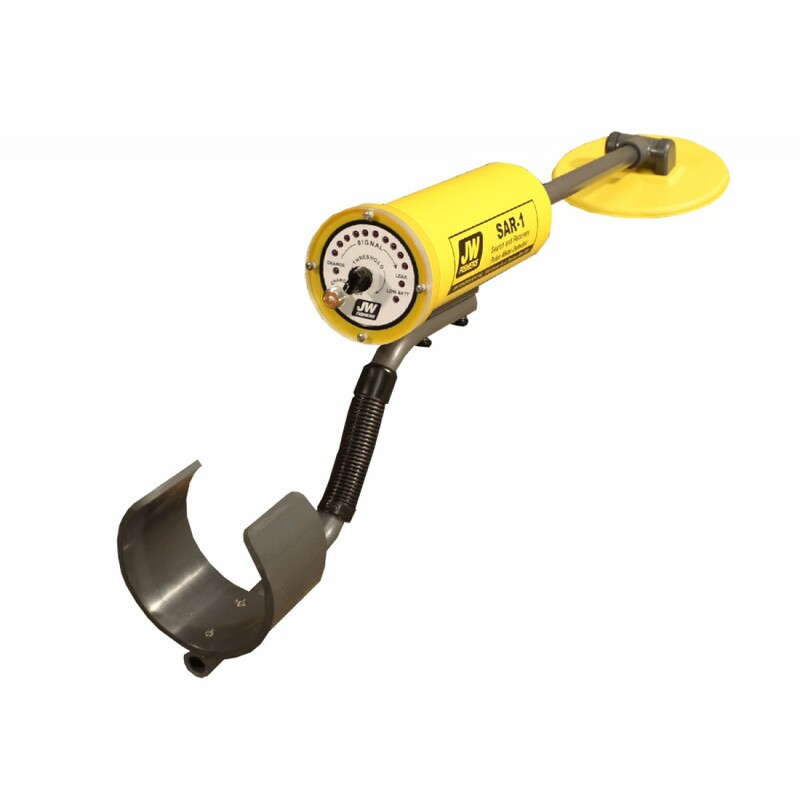 Unlike some other detectors, the electronics compartment can be opened for inspection or battery replacement without voiding the warranty.